Lunabee: custom vinyl toy art: Meduza Revealed! 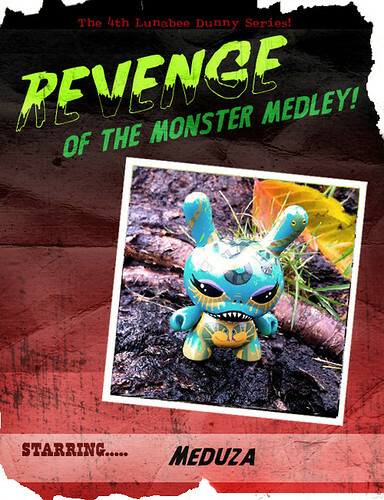 New Dunny series coming this Wednesday 24th Nov at 6:30pm London time on the Lunabee store! The fifth reveal is the lovely Meduza, a tangle of snakes for hair and looks that will stop you in your tracks...literally..